This coming summer marks a major milestone in our 30-year musical career! 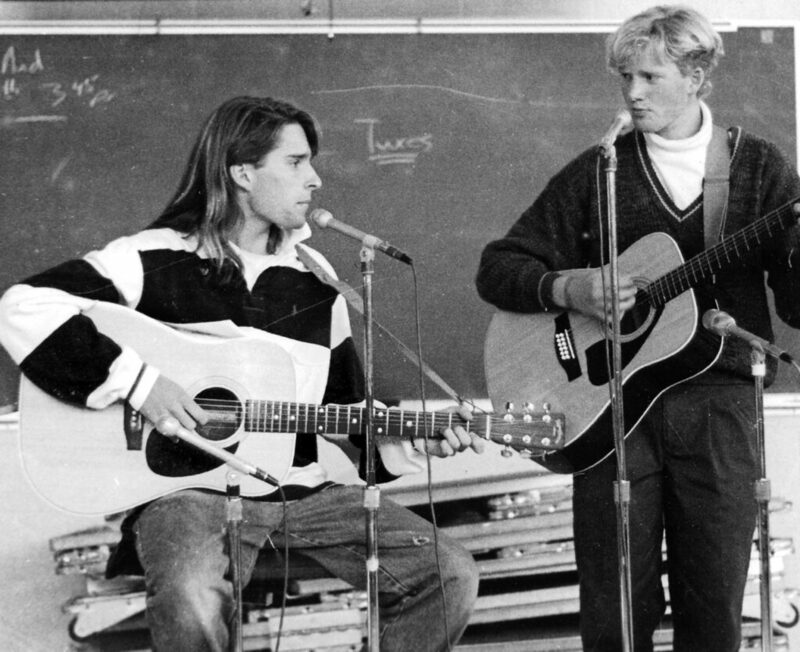 After graduating from high school back in 1989, we spent a day at Peak Recording in Bozeman, Montana and made a record, a cassette simply titled Chris & Johnny. 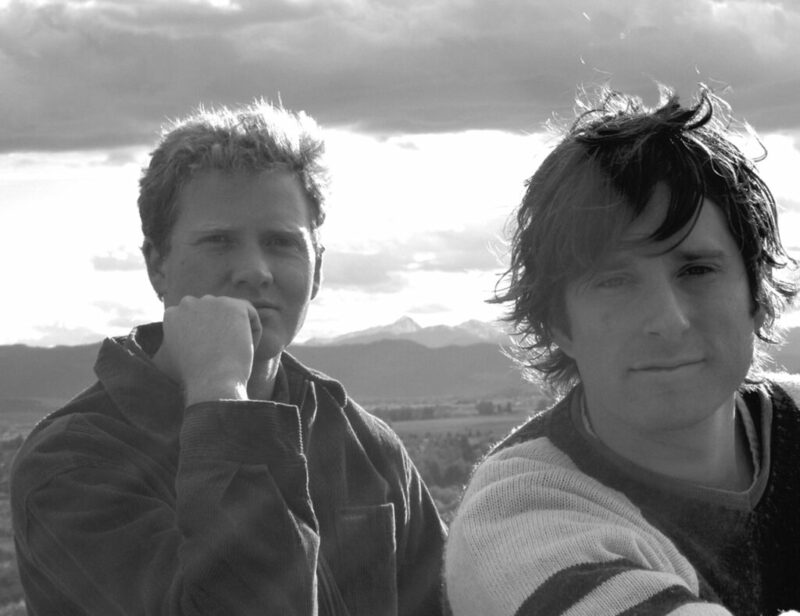 Little did we know back then how far that experience would take us; from weekly pub gigs in college, full-time national touring, landing a record deal with a highly reputable label, and many appearances on well-known, highly praised festivals, venues and stages (Kerrville, APHC, Mountain Stage, Falcon Ridge…the list goes on). To celebrate this milestone with you, our loyal fanbase who have been listening and encouraging us all these years, we have created a customized one-time event – a 30th Anniversary Celebration – scheduled for July 24-27, 2019 to be hosted in and around our hometown of Bozeman in the most beautiful part of the state. We are so excited to be your personal hosts for this special experience and have two options for your participation and enjoyment. Check out our 30th Anniversary Celebration page! 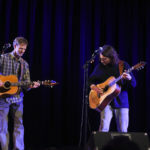 During our 2018 fall tour, we stopped by Minnesota Public Radio’s Radio Heartland for an in-studio interview and performance. Take a listen. CD release week and tour! Stages will be released on Friday, November 16. The record includes 16 tracks recorded on several ‘stages’ we visited while touring between 2003 and 2015. Each individual track captures a moment in time when we knew there was connection. We connected with the people in the room, but also connected with each other. 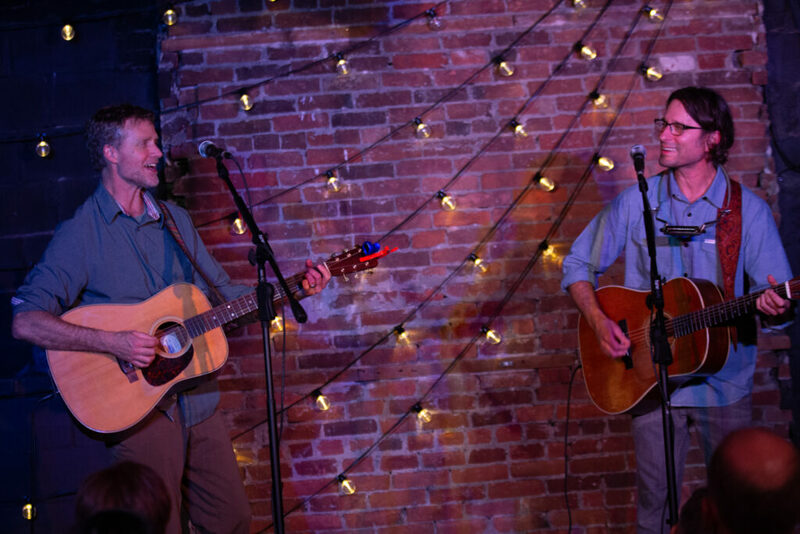 You may hear some ambient sounds in the background of some of the tracks, but you if you listen carefully, you’ll hear what some people call our signature sound: two voices, two guitars, and the tight ethereal harmonies that continue to surprise and delight old and new fans. 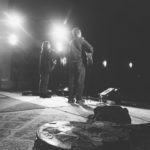 We are very excited about the work our Storyhill team put into making this album come to life. Once again, we turned to our good friend and audio wizard Alex Oana, with his keen ear and knowledge of our combined talents to mix a new live Storyhill album that you’ll enjoy for years to come. Stages will be available on tour with us this fall, at our website and on all of your favorite online music platforms. Reserve your copy today! We are excited to hit the road after a nearly four-year hiatus from touring. We’ll be kicking things off this week with a quick trip through Minnesota and then heading west through Montana later in the month. Tickets are moving fast for our shows. Check out our tour stops below and get your tickets today if you’d like to see us on the road. More information is available on our newly designed website. Thursday, November 15, 2018 – SOLD OUT! Friday, November 16, 2018 – SOLD OUT! Saturday, November 17, 2018 – SOLD OUT! Sunday, December 2, 2018 – SOLD OUT! It has been a couple years since we sent our last update. Hopefully this finds you well! While on hiatus from Storyhill, we’ve been busy with our individual projects, families, and careers. But during that time away, there has always been a calling to get back to it. Get back to making music together. Get back to sharing our music with you. Get back to this community that we’ve known and loved for nearly 30 years. We’ve had the opportunity to play some pretty amazing stages during our time together. Since our ‘reunion’ in the early 2000s, our reach expanded and our fanbase grew. And while all of that happen, we played some great sets together. 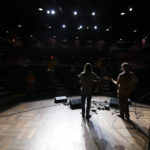 We were fortunate to capture some of those moments by recording shows at venues large and small across the country. While away, we rediscovered some of these gems. Since we haven’t released a live record since 2002, we felt the time has come for a new live album. It is with great excitement that we announce the release of Stages. Scheduled for release on November 16th, Stages captures 15 live performances of songs from our studio albums Dovetail, our self-titled disc Storyhill, Shade of the Trees and a couple unreleased songs. 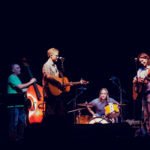 The Storyhill team has culled the archives to find individual performances that captured our ears and our hearts. Though the performances may not be perfect, each song archives a moment in our collective musical career that has meaning to us. And now, hopefully for you, too. To get this new album into your hands and headphones, we’re launching a Kickstarter campaign to help fund its creation. 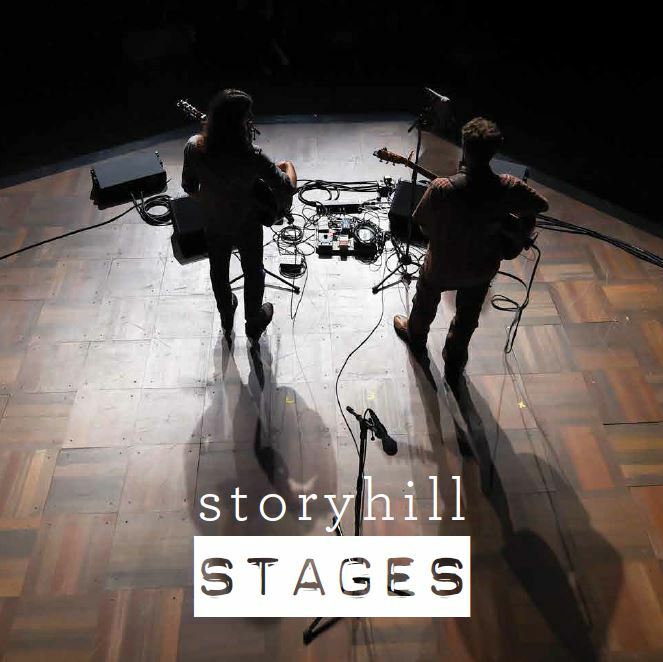 Over the next 21 days, we’re looking to you, our Storyhill family, to visit the Stages Kickstarter website and contribute if you are able. We’ve put together some fun packages to reward you for your contributions to this record. We need your help to make it come to life. As we work our way through the 21 day campaign, we will share updates on the album, including the track list, bonus disc tracks, and other information on this album. We are confident that you’ll love it. Head on over to our Kickstarter page and check out the campaign. To celebrate the release of Stages, and after a nearly four-year hiatus from touring, we are hitting the road for a tour through Minnesota and Montana. Ticket information is now available on our Shows page. We’d love to see you on the road and help us celebrate Stages. We’re very excited to bring Stages into this world and reconnect with you on tour. It’s hard to believe we started this almost 30 years ago in our hometown of Bozeman, Mont. and have watched it grow into the community it is today. We thank you for your support throughout those years, whether we’ve been recording and touring, or taking time away to recharge our batteries and reignite our passion for performing. Thanks for your love and support through all stages of our career. We look forward to seeing you soon! We hope this newsletter finds you well. We recently returned from a quick weekend tour in North Carolina. It was great to play old favorites and some of our newest songs. Thanks to all of those who came out – it was a memorable time and excellent hospitality. We are thrilled and honored to be joining Garrison Keillor on the next A Prairie Home Companion’s Eastern Carribean Cruise, scheduled to sail March 14-21, 2015. Only limited suites are remaining, so if you’re thinking about joining us, book your tickets now! We’ll be making stops at Grand Turk, San Juan, St. Maarten, and Half Moon Cay. Information and ticket sales are available here! Later this spring we’ll be in Minnesota for one last tour before taking a break. Along for the tour will be our good friend and the amazing artist, Connor Garvey. 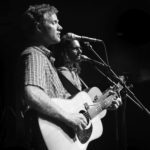 Known as “CoGar” among the songwriter community, Connor has been a stand out staple at Storyhill Fests and recently took home top awards at the Rocky Mountain Folks Fest, Kerrville Folk Festival, Solarfest, and the prestigous Falcon Ridge Folk Festival. 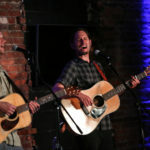 Thursday, April 30 – Stillwater, MN: The Loft at Studio J.
Friday, May 1 – Zumbrota, MN:The State Theater. 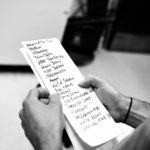 Sunday, May 3 – St. Paul, MN: The History Theatre. This will be the final show before the hiatus. This is the theater where our double live CD Reunion was recorded back in 2001. There’s not a bad seat in the house! These will be our final shows together for the foreseeable future. We’d love to have you to join us as we close this chapter in our career together. Thanks for all of your continued support through this transitional period. It truly means the world to us. We so appreciate the energy and enthusiasm for Storyhill – and all the years of diligent work and dedication that our team has put in to keeping the boats afloat; it is both humbling and inspiring. Although we don’t know yet what will happen after these swan song events, we are clear there will be a future for us and for Storyhill sometime down the road. We love to make and share our music with you. We hope you’re enjoying the changing season and anticipating a warm, relaxing Thanksgiving weekend. We wanted to tell you about what’s in our world. For the last couple of years we’ve been working toward releasing a new album and getting back on the road. For many personal reasons and after much discussion and deliberation, we’ve recently made the tough decision that we need to put those plans and Storyhill Fest on the back burner for now. At this point we don’t know what the future holds for Storyhill. We’re very much looking forward to our upcoming shows in Montana, North Carolina, and on the Prairie Home Companion Cruise in March – and plans are being made for more shows in Minnesota and Montana this spring. But following those commitments, we don’t have any definite plans to tour after spring of 2015 or record a new record. 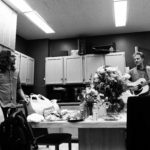 Storyhill Fest has been a life changing experience for us – and it’s hard to imagine not being a part of that unique community next year. It’s been a privilege to host so many of you on Hyalite and Clearwater Lakes these past nine years. 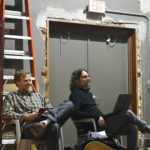 We’re grateful for the work and heart our manager, Jim Kowitz, and the volunteers have put into it to make it happen. If you have any questions about this announcement or about Storyhill Fest, please reach out to us at manager@storyhill.com. When we broke up in 1997 we thought that would be it for us. But we gained a lot of valuable perspective during those four years and we found our way back to Storyhill. While we don’t know what the future holds for us now, we know we love singing together. And we love it most when you’re there to hear it! Your support over the years has meant the world to us. We are blessed to have you in our lives. Let’s be in touch. . .